"For nine years their path had been so clear: bring Jonathan back to Byzantium to claim his office as Sovereign of the world on the day that he reached eighteen. It had been simple, though he had never been naive enough to think they might not encounter at least some resistance. But now..."
Rom ponders as he learns that Feyn, Sovereign of the world, who had died nine years ago saving Jonathan's life, is alive and on the throne once again. Furthermore, her evil stepbrother Saric had manipulated the Senate to changing the rules of succession so that if Feyn dies, he will become Sovereign. MORTAL picks up where FORBIDDEN left off nine years earlier. "Once again, Ted Dekker and Tosca Lee have provided readers with an adventure that sparks the imagination as well as some inspiring food for thought." The small band of people who was brought to life by infusion of uncorrupted blood that had been guarded through the ages has now grown to several thousand, all dedicated to protecting Jonathan until he takes his rightful place as Sovereign of the world. At that point, a restoration of life will replace the Order, which had removed all emotions from human blood, except the emotion of fear. And it has been through that fear that the Order has been kept over a lifeless population for hundreds of years. In addition to the original group of Mortals, several Nomadic tribes have joined the ranks and brought with them all the skills needed to survive in the wilderness and defeat those in power on the battleground, should that become necessary. Now that Rom is no longer the single leader, there is a council made up of representatives from the Keepers, the Mortals and the Nomads --- all of whom are fully alive and passionate about their individual perspective. Though they have committed to give their lives to protect Jonathan, they don't always agree on the best way to accomplish the task. 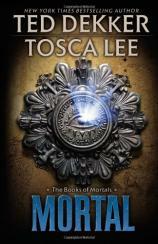 While MORTAL can be enjoyed as a stand-alone, it is best when read as the second book in the Books of Mortals trilogy. FORBIDDEN not only lays the foundation for the action in MORTAL, it also demonstrates how the characters develop and grow in their resolve. Perhaps most obvious is Jonathan himself. Now, nearly 18 years old, he is every bit the strong leader: expert horseman, intelligent beyond his years, and a capable warrior. However, there is another dimension to his character that has some of the leaders concerned. 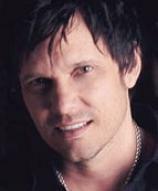 He has a passion for those in need and a compassion for all who are mistreated. For example, he is willing to put his life at risk to rescue a lame child. The allegorical aspect of MORTAL may be confusing to some, but it is not necessary for every nuance to be grasped in order to understand the themes. The forces of good and evil are clearly personified. Jonathan is the giver of life blood, and people who receive it are transformed from death to life. Saric is diametrically opposite, as his alchemists have developed a false life-giving fluid that allows him to enslave those to whom he gives it. The love and kindness of Jonathan's behaviors are in sharp contrast to the despicable actions of Saric, who has no problem cutting a man in two right in front of the entire Senate. Jonathan gladly gives his life blood to save others, while Saric will sacrifice others to save his own life. Once again, Ted Dekker and Tosca Lee have provided readers with an adventure that sparks the imagination as well as some inspiring food for thought. Fans of the series will be looking forward to the final book and what promises to be an exciting conclusion.